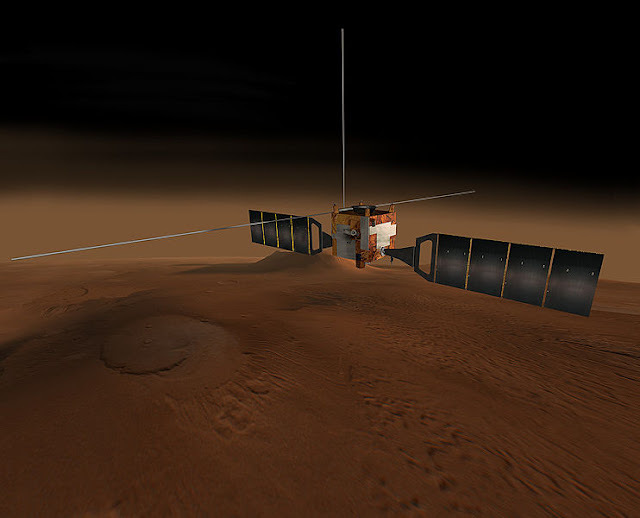 Mars Express orbiting spacecraft/satellite. Image Source: Wiki. This year marks the ten-year anniversary of the European Space Agency's Mars Express, one of the most successful satellites in space exploration history, launched to orbit not our planet - but Mars. It was launched 2 June 2003 and entered Mars orbit on Christmas Day of that year. 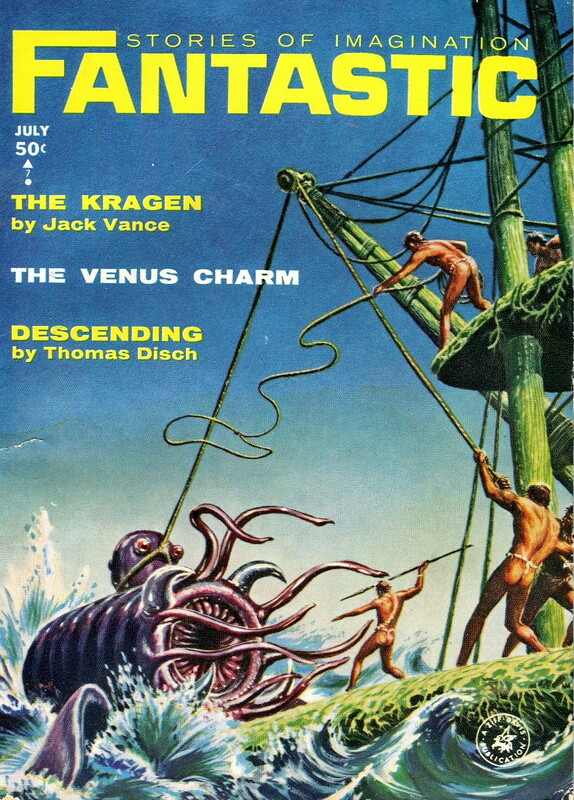 Its "relatively short interplanetary voyage, a result of being launched when the orbits of Earth and Mars brought them closer than they had been in about 60,000 years." It also carried a British lander, the Beagle 2, which was unfortunately unsuccessful. Below the jump, see the ESA's commemorative video for the orbiter's birthday. You can see their main mission page here, and all missions here. Images Source: Mother Nature Network. 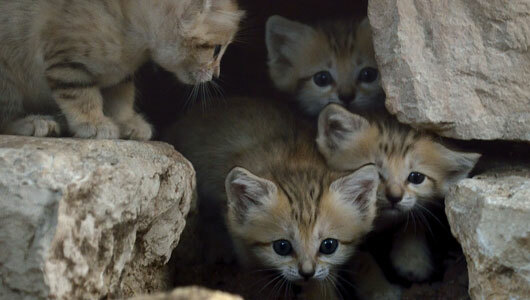 Here are some cutie-pie Sand Cat kittens, a desert feline once extinct in Israel. 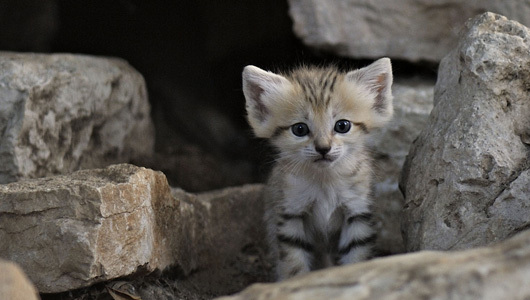 The species Felis margarita has been locally revived through the breeding of captive individuals and their reintroduction to the habitat (Hat tip: Trans-D Digital Art). There are several sub-species and the entire species actually has a near threatened status worldwide. See this litter on Youtube here. 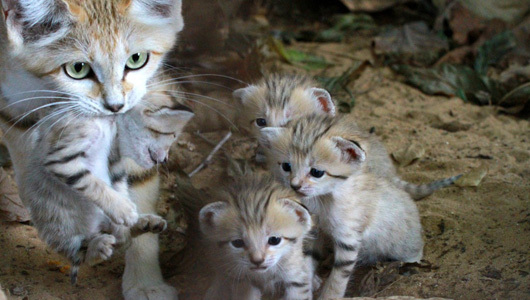 The report is from August 2012, so these kittens likely now look like this.